It took me awhile to visit bon appeTEA in Lahug for a few reasons. One, it was sort of out of the way. Two, I just thought that I was done with all the tea and milk teas in the market. I think I have tried a few bunch and I could say that I have a few favorites already. I was trying a little humor. God, I am so lame! XD Anyway, when we visited the quaint place they had a few customers. The place is really small however you can always dine al fresco. 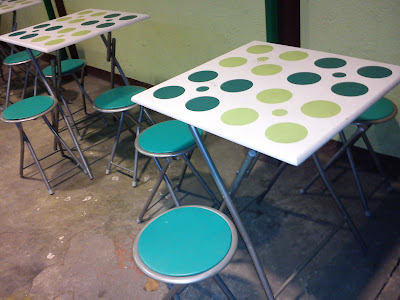 The dinky space can only accommodate up to 10 guests on each round tables and about 4 guests on the stools by the counter. 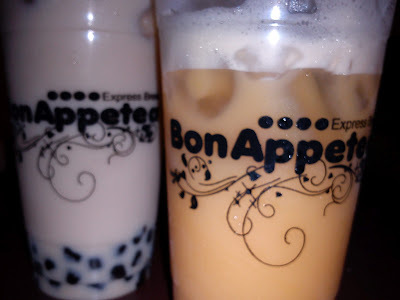 Wintermelon Tea and Passion Fruit Yakult both sold at Php80 (Large). What I thought about it? The Passion Fruit Yakult was really nice. A sweet mix of sour, sweet and something milky. I was somehow happy about it. 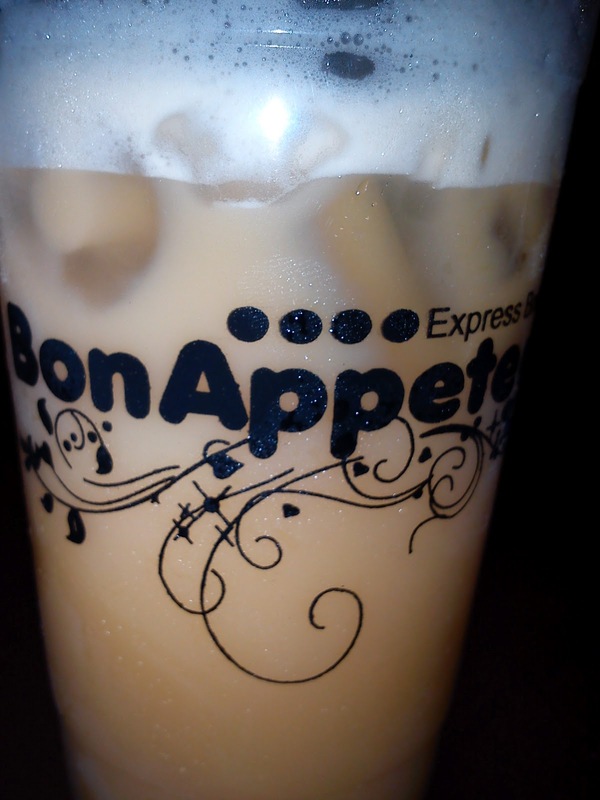 Not like the last milk tea I had. That would be a different blog entry. The Wintermelon didn't fail me though, this flavor has always been considered a good choice when it comes to milk teas. We would have stayed for a few more minutes but I had to get a move on for work. We left feeling happy and satisfied.